Mindy Barry is an associate with Keller Thoma. 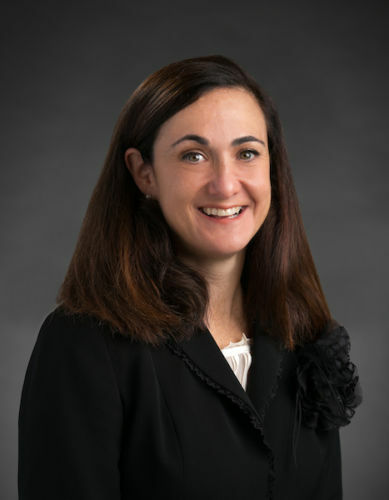 Her practice includes litigation of labor and employment matters, including trial and appellate work in state and federal courts and before administrative agencies. Prior to joining Keller Thoma, Ms. Barry was both an Adjunct and Visiting Assistant Professor at the University of Detroit Mercy School of Law, where she taught courses in property law, national security law, and advanced advocacy. She clerked for Michigan Supreme Court Justice Robert P. Young. Before moving to Michigan to raise her family, Ms. Barry worked for the United States House of Representatives where most recently she was the Chief Counsel for Oversight and Investigations for the House Committee on the Judiciary. She also served as Counsel for the Subcommittee on the Constitution, and, prior to becoming an attorney, as a member of the professional staff for the Committee on Science and as a legislative assistant. Ms. Barry was appointed by the U.S. Commission on Civil Rights to the Michigan Advisory Committee in 2017. The U.S. Commission on Civil Rights is an independent, bipartisan agency charged with advising the President and Congress on civil rights matters and issuing an annual federal civil rights enforcement report. Principled Negotiating: Breeding Success and Protecting Public Interests Behind Closed Doors, 1 Geo. J.L. & Pub. Pol'y 431 (2003). Lessons Taiwan Should Consider when Rewriting its Constitution, in A New Constitution for Taiwan 527-73 (Taiwan Advocates, eds., 2005), presented at “The Legitimacy of a New Constitution for Taiwan” Symposium, Taipei, Taiwan, Nov. 28 – 29, 2004. New Common School Foundation, Member of the Board of Directors. Junior League of Detroit, Sustaining Member. Walsh College, Presidential Advisory Board Member. Grosse Pointe Library Foundation, Member of the Board of Directors.